Classic Industries offers a wide selection of Car Care Products for your Chevrolet Chevy II Nova. Classic Industries offers Chevrolet Chevy II Nova Interior Protection, Chevrolet Chevy II Nova Dash Covers, Chevrolet Chevy II Nova Seat Protectors, Chevrolet Chevy II Nova Steering Wheel Covers, and Chevrolet Chevy II Nova Sun Shades. 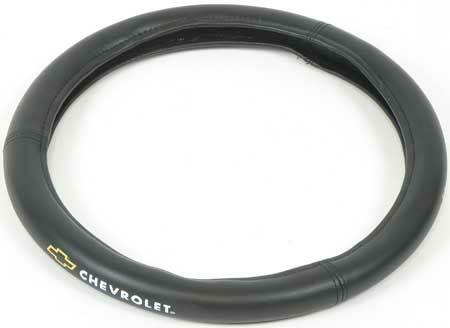 Dress up your interior easily with this Chevy Bow-Tie logo steering wheel cover. This cover is black and comes with a gold Bow Tie logo. Installation is easy! Just slip the cover over your existing steering wheel. Protect the dash in your car with a custom fit dash protector. Manufactured from low-pile Polyester carpet, each cover is contoured to the shape of the dashboard to ensure a protective fit.